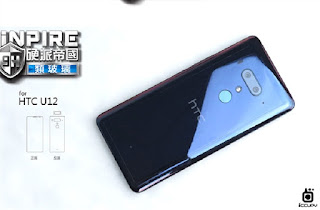 HTC U12 renders and full specifications has been leaked reveals some key features.If the renders and leaks are true,the handset will not feature notch on display.Expecting that company should bring eye catching features to stand with other manufactures.However,let us have look at images once. As per image,the HTC U12 features glossy finish body on back with dual camera and LED flash.Fingerbprint scanner also fitted just below the cameras.On front it houses fullview display with dual cameras seen,but no evidence of notch has found. 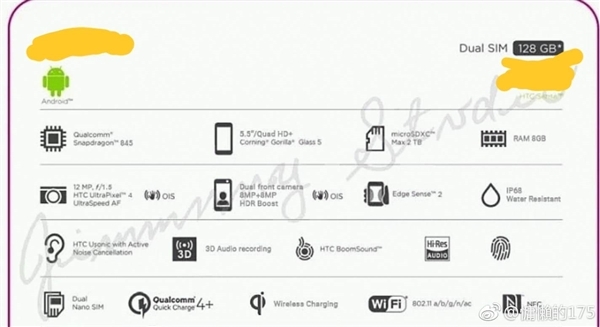 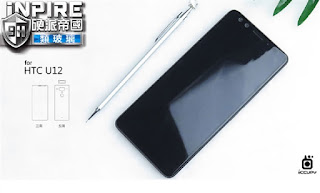 The phone will come 5.5 inch QHD plus disply with Gorilla Glass 5.It will be powered by Snapdragon 845 processor and 8 GB RAM with HTC Edge Sense 2 based on Android 8 Oreo.In terms of camera,it will be equipped with dual 12MP sensor with HTC ultrapixel4 technology with OIS and LED flash.On front,it houses dula 8 MP camera with OIS.The phone is expected to fueled with atleast 3000 mah battery.Though its battery size is unknown,phone supports Qualcomm quick charge 4. 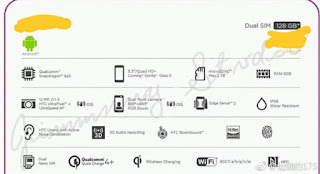 As seen in specs sheet,it has 128 native storage model which expandable upto 2TB via sd card.The phone supports dual nano sims with 4G LTE,GOS,GLONASS,Wifi 802.11 a/b/g/n/ac,wifi hotspot.The phone is is IP68 certified for water and dust and also comes with HTC boom sound.